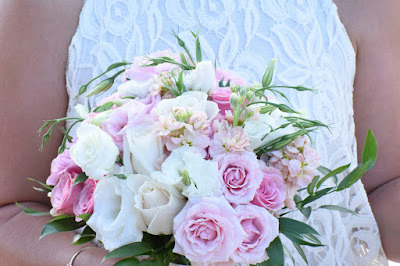 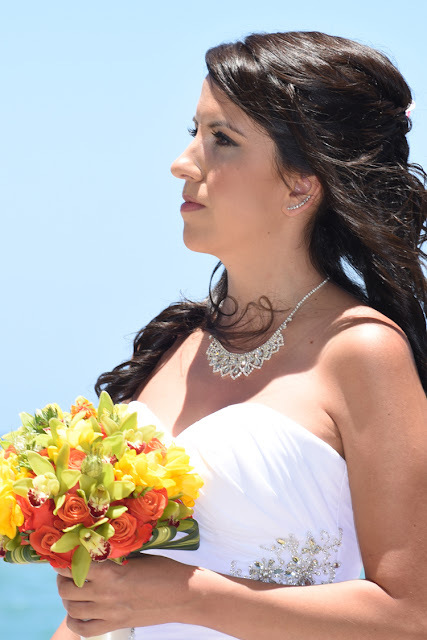 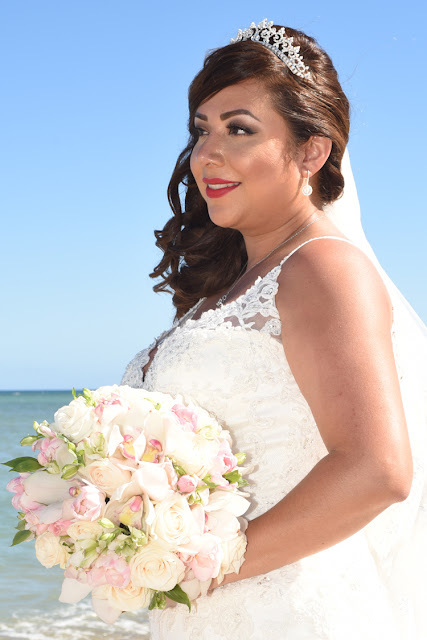 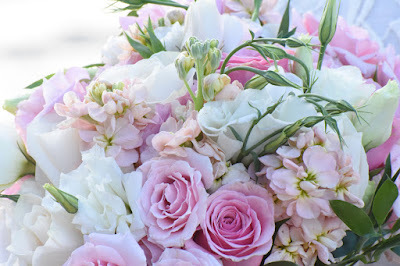 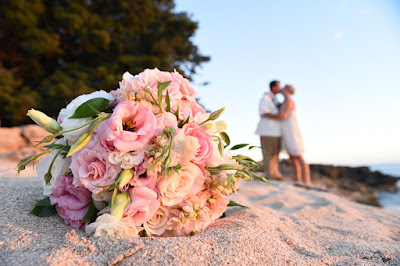 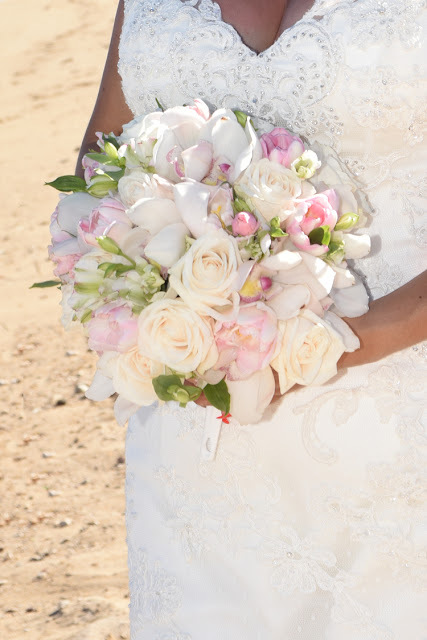 Love this "Bouquet on the Beach" shot with soft white and pink rose bouquet. 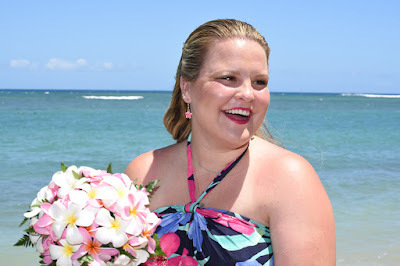 Giving a flower lei is a lovely Hawaiian tradition. A gift of flowers keeps on giving, especially if you capture it on film. 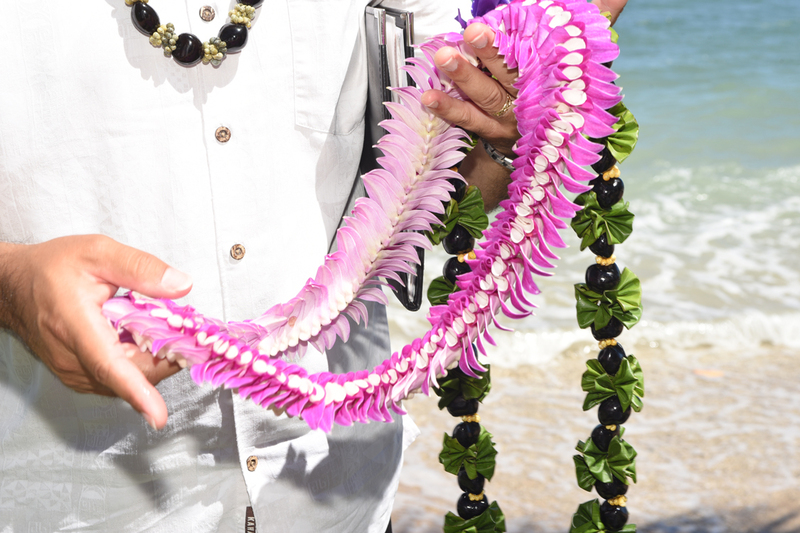 Pastor John displays our deluxe flower leis. Purple for the Bride, and Green for the Groom. Bridesmaid gets to hold the Bride's plumeria bouquet. Orange roses and green cymbidium are nice! 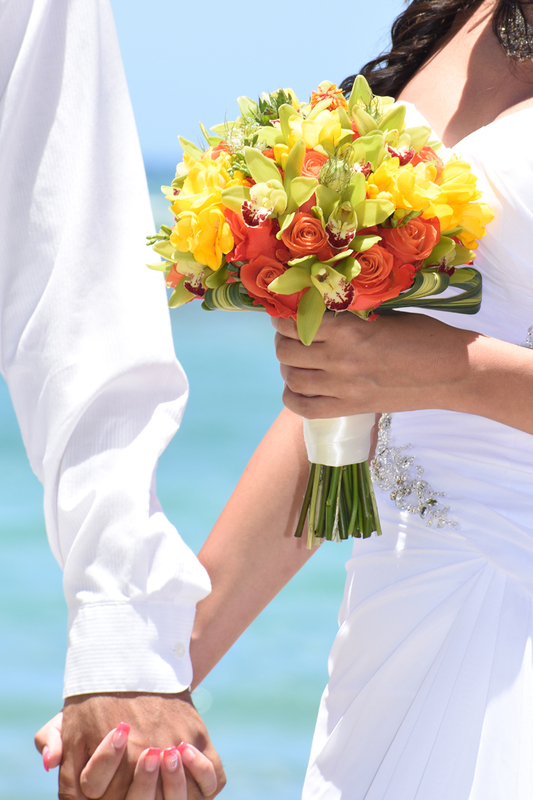 Bride's tropical flower bouquet. Call us at 808-924-3600 today!